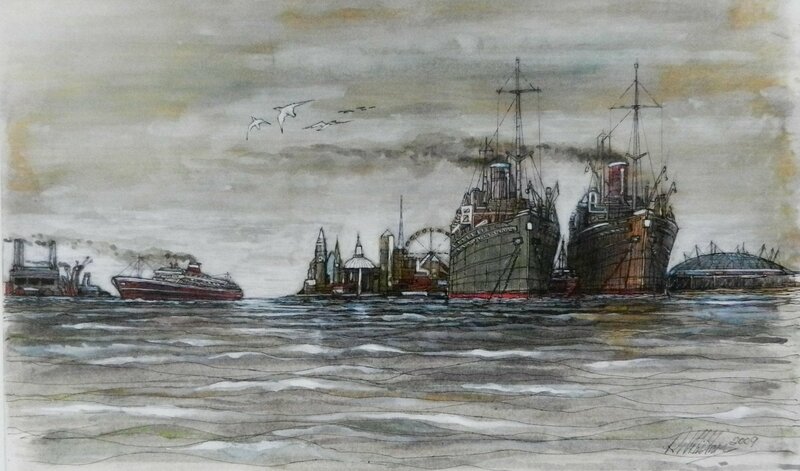 Ships on the Thames. Mixed media. Painted 2009.